Yesterday, was Iglesia Ni Cristo Day. All of us, members of the Church (INC) around the world, commemorated our 96th founding anniversary (July 27, 2010). We celebrated the event with Grand Evangelical Missions (GEM) and Bible expositions in different locales and centers worldwide. Our locale held the GEM at Cuneta Astrodome. We brought along some visitors with us to listen to the words of God. As for me, I went with my sister-in-law, Joy, who decided to learn the Church's doctrines. She'll start the lessons on Monday! I'm really happy about her decision! 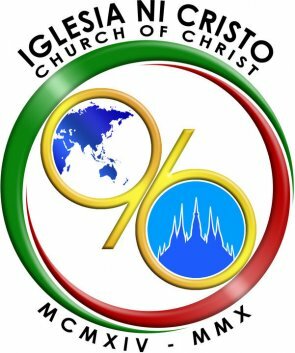 The Iglesia Ni Cristo (INC) was formally established on July 27, 1914 through the leadership of Brother Felix Y. Manalo. He was succeeded by Brother Erano G. Manalo and now Bother Eduardo V. Manalo who is continuing the unselfish and dedicated leadership and administration of the Church. Happy 96th Anniversary to all brethren around the world!